Bu araştırmada öğretmen görüşlerine dayalı olarak sosyal adalet liderliği ile okul akademik iyimserliği arasındaki ilişki incelenmiştir. Araştırma, Ankara ili Mamak ilçesindeki okullarda görevli 453 öğretmenin katılımı ile gerçekleştirilmiştir. Veriler Sosyal Adalet Liderliği Ölçeği-Öğretmen Formu ve Okul Akademik İyimserlik Ölçeği ile toplanmıştır. Veriler aritmetik ortalama, standart sapma, yüzdelik değer, oran ve Pearson korelasyon gibi betimleyici istatistikler ile çoklu regresyon ile çözümlenmiştir. Araştırmada müdürlerin sosyal adalet liderliği davranışlarını yüksek düzeyde sergiledikleri saptanmıştır. Okul akademik iyimserliği ise düşük düzeyde gözlenmiştir. Sosyal adalet liderliği ile okul akademik iyimserliği arasında orta düzeyde, pozitif yönlü ve anlamlı bir ilişki vardır. Çoklu regresyon analizi ise sosyal adalet liderliğinin, okul akademik iyimserliğindeki değişkenliğin %22’sini açıkladığını göstermiştir. Bulgular bir bütün olarak değerlendirildiğinde, sosyal adalet liderliğinin okul akademik iyimserliğinin önemli yordayıcılarından biri olduğu genel sonucuna ulaşılmıştır. Archer, L., Hutchings, M., & Ross, A. (2003). Higher education and social class. London: Routletge Farmer. Baker, E. T., Wang, M. C. & Walberg, H. J. (1995). The effects of inclusion on learning. Educational Leadership, 52(4), 33-35. Balcı, A. (2005). Sosyal bilimlerde araştırma. (5. Baskı). Ankara: Pegem. Banks, J. A. (1997). Education citizens in a multicultural society. New York: Teachers College Press. Blackmore, J. (2002). Leadership for socially just schooling: More substance and less style in high-risk, low-trust times? Journal of School Leadership, 12(2), 198-211. Boyles, D., Carusi, T., ve Attick, D. (2009). Historical and Critical Interpretations of Social Justice. (Edts) William Ayers, Therese Quinn, David Stoval. Handbook of Social Justice in Education içinde (s.30-43). Newyork: Routledge. Brooks, J. S., & Miles, M. T. (2006). From scientific management to social justice... and back again? Pedagogical shifts in educational leadership. International Electronic Journal for Leadership in Learning. Brown, K. M. (2004). Leadership for social justice and equity: Evaluating a transformative framework and andragogy. Educational Administration Quarterly, 42(5), 77-108. Chang, I. H. (2011). A study of the relationships between distributed leadership, teacher academic optimism and student achievement in Taiwanese elementary schools. School Leadership & Management, 31(5), 491-515. Conger, J. A., & Kanungo, R. N. (1988). Charismatic leadership: The elusive factor in organizational effectiveness. San Francisco: Jossey-Bass. Daly, A. (2009). Rigid response in an age of accountability: the potential of leadership and trust. Educational Administration Quarterly, 45(2), 168-216. Eğitim Reformu Girişimi (2016). Eğitim İzleme Raporu 2015-16. http://www. egitimreformugirisimi.org/sites/www.egitimreformugirisimi.org/files/EIR2015-16.17.11.16.web sayfasından 09.07. 2017 tarihinde erişildi. Ensign, J. (2009). Multiculturalism in four teacher education programs: for replication or transformation. Multicultural Perspectives, 11(3), 169-173. Freire, P. (2005). Pedagogy of the oppressed (30th eds.). New York: Continuum International Publishing Group Inc.
Furman, G. (2012). Social justice leadership as praxis: Developing capacities through preparation programs. Educational Administration Quarterly, 48(2), 191-229. Furman, G. C. & Gruenewald, D. A. (2004). Expanding the landscape of social justice: A critical ecological analysis. Educational Administration Quarterly, 40(1), 47-76. Furman, G. C., & Shields, C. M. (2005). How can educational leaders promote and support social justice and democratic community in schools? (Ed) W. A. Fire-stone ve C. Riehl. 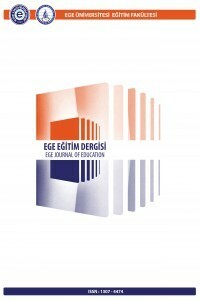 A new agenda for research in educational leadership içinde (pp. 119–137). New York: Teachers College Press. Gewirtz, S. (1998). Conceptualizing social justice in education: Mapping the territory. Journal of Education Policy, 13, 469-484. Gewirtz, S. & Cribb, A. (2002). Plural conceptions of social justice: implications for policy sociology. Journal of Education Policy, 17(5), 499-509. Goddard, R., Hoy, W. & Woolfolk-Hoy, A. (2000). Collective teacher efficacy: its meaning, measure and impact on student achievement. American Educational Research Journal, 37(2), 479-507. Hong, F. Y. (2017). Antecedent and consequence of school academic optimism and teachers’ academic optimism model. Educational Studies, 43(2), 165-185. Hoy, W. K., Tarter, C. J., & Woolfolk Hoy, A. (2006). Academic optimism of schools: A force for student achievement. American Educational Research Journal 43(3), 425–446. Joseph, E. E., & Winston, B. E. (2005). A correlation of servant leadership, leader trust, and organizational trust. Leadership & Organization Development Journal, 26(1), 6-22. Katzman, L. (2007). High-Stakes testing. In A. Bursztyn (Ed. ), The Praeger handbook of Special Education (pp. 127-129). Westport, CN: Praeger. Karagiannis, A., Stainback, W., & Stainback, S. (1996). Rationale for inclusive schooling. (Ed.) Stainback, S., ve Stainback, W. Inclusion: A guide for educators içinde (pp. 3–16). Baltimore: Paul Brooks. Klassen, R. (2010). Teacher stress: the mediating role of collective efficacy beliefs. The Journal of Educational Research,103(5), 342-350. Kondakçı, Y., Kurtay, M. Z., Oldaç, Y. İ. ve Şenay, H. H. (2016). Türkiye’de okul müdürlerinin sosyal adalet rolleri. (Ed. K. Beycioğlu, N. Özer, D. Koşar, İ. Şahin). Eğitim yönetimi araştırmaları içinde (s. 353-361). Ankara: Pegem Akademi. Marks, H. M., & Printy, S. M. (2003). Principal leadership and school performance: An integration of transformational and instructional leadership. Educational administration quarterly, 39(3), 370-397. Marshall, C., & Oliva, M. (2006). Leadership for social justice: Making revolutions in education. Boston: Pearson Education. Mascall, B., Leithwood, K., Straus, T., & Sacks, R. (2008). The relationship between distributed leadership and teachers' academic optimism. Journal of Educational Administration, 46(2), 214-228. McCabe, N. C. & McCarthy, M. M. (2005). Educating school leaders for social justice. Educational Policy, 19(1), 201-222. McKenzie, K. B., Christman, D. E., Hernandez, F., Fierro, E., Capper, C. A., Dantley, M., Gonzalez, M. L., McCabe, N. C., & Scheurich, J. J. (2008). From the field: A proposal for educating leaders for social justice. Educational Administration Quarterly, 44(1), 111-138. Murray, C. (2009). Parent and teacher relationships as predictors of school engagement and functioning among low-income urban youth. The Journal of Early Adolescence. http://jea.sagepub.com/content/early/2009/01/13/0272431608322940.full.pdf+html adresinden erişildi. Murtadha, K. & Watts, D. M. (2005). Linking the struggle for education and social justice: Historical perspectives of African American leadership in schools. Educational Administration Quarterly, 41(4), 591-608. Oakes, J., Quartz, K. H., Ryan, S., & Lipton, M. (2000). Becoming good American schools. Phi Delta Kappan, 81(8), 568-576. Oplatka, I. (2010). The place of “social justice” in the field of educational administration: A journal based historical overview of emergent area of study. (Editors: Ira Bogotch and Carolyn, M. Shields). International Handbook of Educational Leadership and Social (In) Justice, Vol 1. London: Springer, pp. 15-36. Özdemir, M., ve Kütküt, B. (2015). Sosyal Adalet Liderliği Ölçeği’nin (SALÖ) geliştirilmesi: Geçerlik ve güvenirlik çalışması. Ahi Evran Üniversitesi Kırşehir Eğitim Fakültesi Dergisi, 16(3), 201-218. Riehl, C. J. (2000). The principal’s role in creating inclusive schools for diverse students: A review of normative, empirical literatüre on the practice of educational administration. Review of Educational Research, 70(1), 55-81. Ross, J. A., & Gray, P. (2006). Transformational leadership and teacher commitment to organizational values: The mediating effects of collective teacher efficacy. School effectiveness and school improvement, 17(2), 179-199. Santrock, J. W. (2001). Educational psychology. New York: McGraw Hill. Seligman, M. (2002). Handbook of positive psychology: Positive Psychology, Positive Prevention, and Positive Therapy. New York: Oxford University Press. Seligman, M. (2006). Learned optimism: how to change your mind and your life. New York: Vintage Books. Skaalvik, E. & Skaalvik, S. (2007). Dimensions of teacher self-efficacy and relations with strain factors, perceived collective teacher efficacy, and teacher burnout. Journal of Educational Psychology, 99(3), 611-625. Stogdill, R. M. (1974). Handbook of leadership. New York: The Free Press. Theoharis, G. (2007). Social justice educational leaders and resistance: Toward a theory of social justice leadership. Educational Administration Quarterly, 43(2), 221-258. Theoharis, G. (2008). Woven in deeply: Identity and leadership of urban social justice principals. Education and Urban Society, 41(1), 3-25. Tomul, E. (2009). İlköğretim okullarındaki sosyal adalet uygulamalarına ilişkin yönetici görüşleri. Eğitim ve Bilim, 34(152), 126-137. Tschannen-Moran, M. & Hoy, W. (2000). A multidisciplinary analysis of the nature, meaning and measurement of trust. Review of Educational Research, 70(4), 547-593. Woolfolk Hoy, A., Hoy, W. K., & Kurz, N. (2008). Teacher’s academic optimism: The development and test of a new construct. Teaching and Teacher Education 24, 821–834. Ware, H. & Kitsantas, A. (2007). Teacher and collective efficacy beliefs as predictors of professional commitment. Journal of Educational Research, 100(5), 303-310. Yukl, G. (2010). Leadership in organizations. (7the Eds.). London: Pearson.